The home stretch... the final two cards. I hope y'all aren't sick of seeing all these birthday cards!! 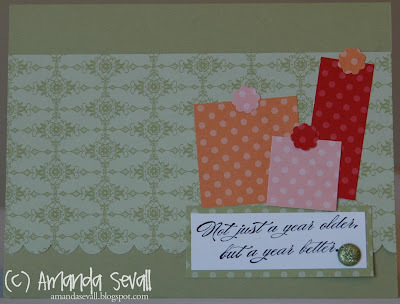 I love how the little scallop shape from the Itty Bitty Shapes Punch Pack looks like a gift bow!